Try out the political agenda of the new US President: Will it be viable? Will this year see the end of conflict in Syria and Iraq? 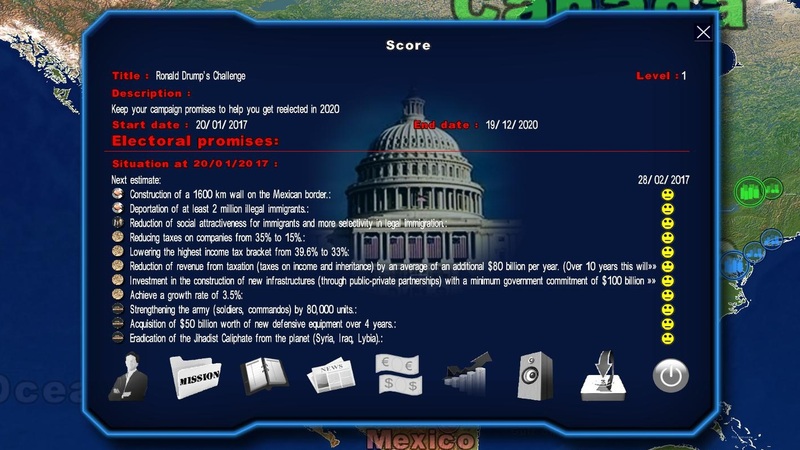 - Donald Trump’s Challenge : play as the new chief executive of the United States and strive to keep your campaign promises on issues such as reducing the tax burden, stimulating the economy or the fight against illegal immigration... all while avoiding bankrupting the nation and maintaining your approval ratings with the end goal of being reelected for a second term in 2020. 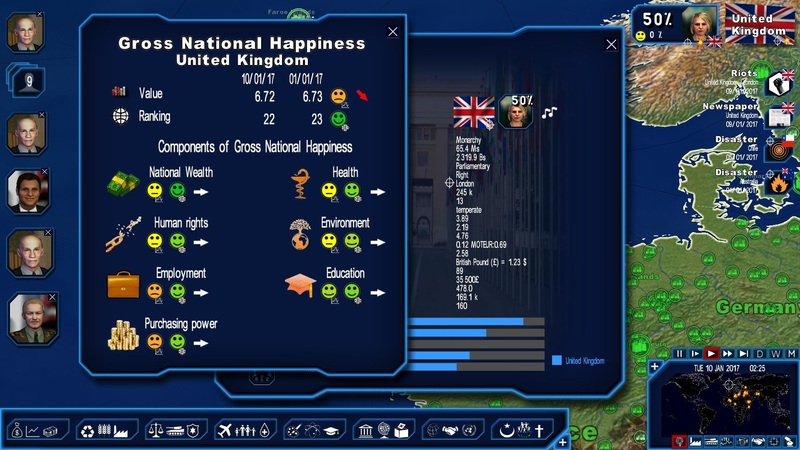 - Gross National Happiness : improve the quality of life for your people by implementing reforms and try to raise your country’s global ranking. 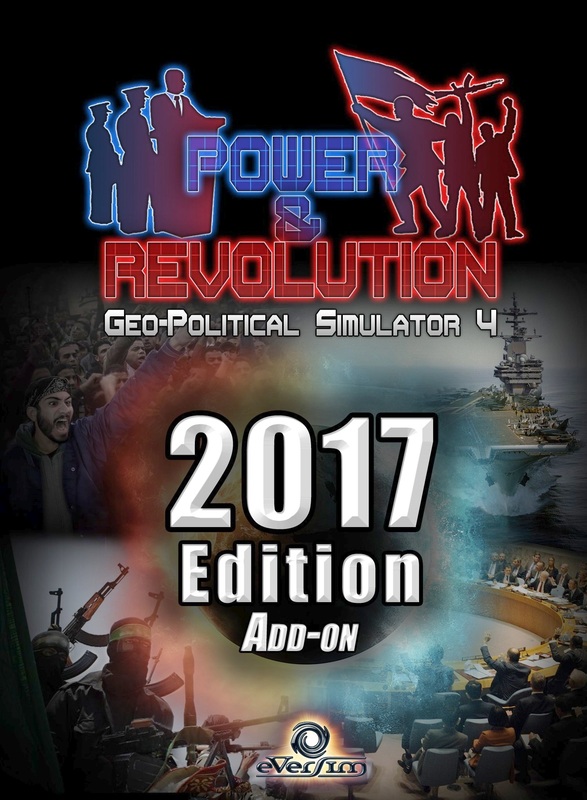 - French Election 2017 : play as one of the candidates in the French national elections or even the current chief of state and run a campaign, manage your budget, establish your campaign platform, participate in debates and try to get elected (or reelected) to the highest office. All countries of the world are represented with their own features. 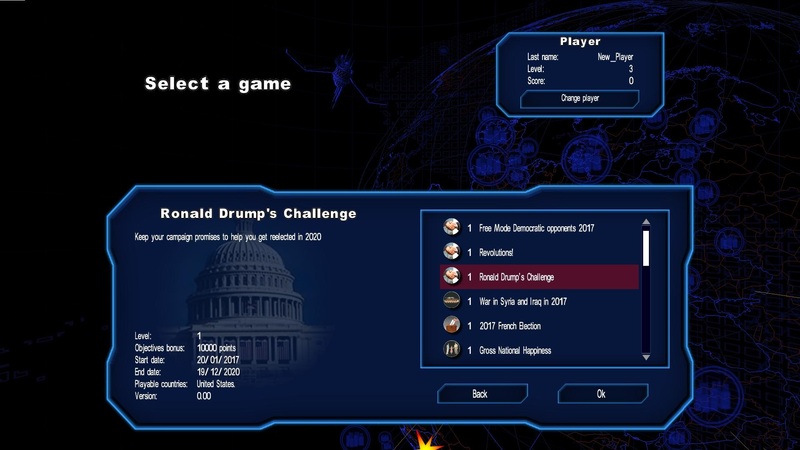 The calculation and scenario engines include more than 100,000 data, 15,000 texts and 10 hours of recorded dialogue. 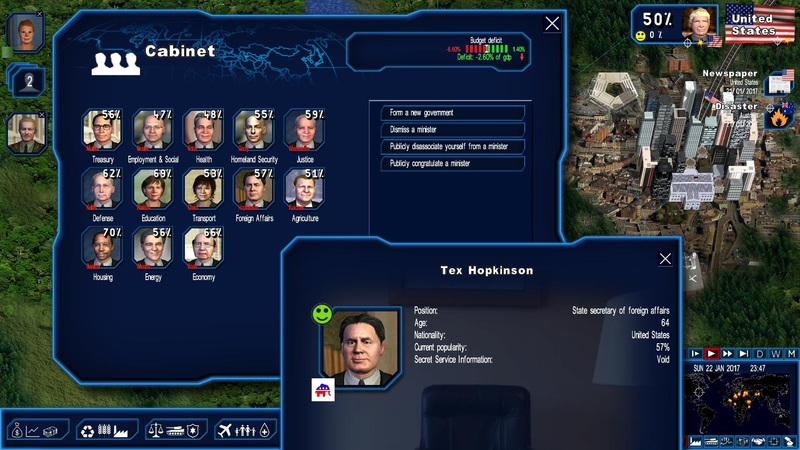 A detailed and animated 3D world map helps to support the players, with all the borders, regions and important and strategic locations of the world.